Grassy knoll assassin…or unauthorized “spectator”? 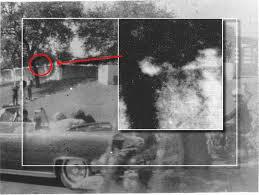 1 Response to Grassy knoll assassin…or unauthorized “spectator”? Somewhere I read (what I thought was) a reasonable explanation when this was first pointed out.